Translation Services Law Offices Interpreting Services for Law Offices in the Miami, FL area Spanish Solutions is there for you. 17 years serving Law Offices all over Florida! Spanish Solutions has a long history serving Miami Law Firms. Our aim is to provide an affordable service with a responsive customer service to adjust to the firms' busy schedules. We currently serve the whole state of Florida and we cover a wide range of foreign languages, being the most common ones Spanish, Portuguese, French and Haitian Creole. 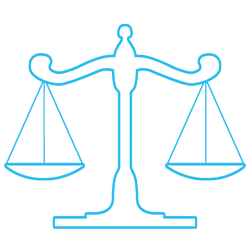 Our professional legal interpreters are carefully selected to meet the highest standards. They are highly trained to cover Depositions, Mediations, Asylum Interviews, Trials, Arbitrations, Idependent Medical Examinations (IMEs) and Examinations Under Oath (EUOs).